Work smarter, not harder – with LASERDYNE®. With LASERDYNE SmartTechniques you can be confident that your laser processes are more productive, yield higher quality, and are more robust. 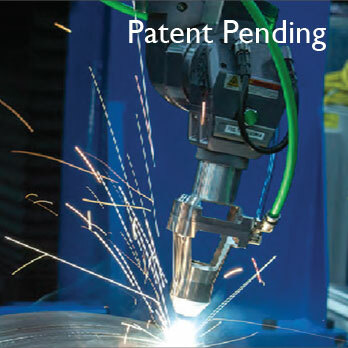 Advanced, integrated control of all laser, motion, and process sensors along with unique processing techniques provide LASERDYNE users with ground-breaking results. The LASERDYNE Laser Process Control (LPC) controls the laser and other systems components with precision and speed not possible using general purpose CNCs. Features such as SmartPierce™ and SmartWeld™ are examples of capability derived from this control. SmartTechniques™ also includes capabilities developed through a close working relationship between Prima Power Laserdyne Applications Engineers and design Engineers. See the results for yourself. Request a demonstration today. Advanced control of piercing in laser cutting and drilling. Faster pierce – reduction in pierce time increases with thickness. Pierce on the cut profile – no large pierce point. 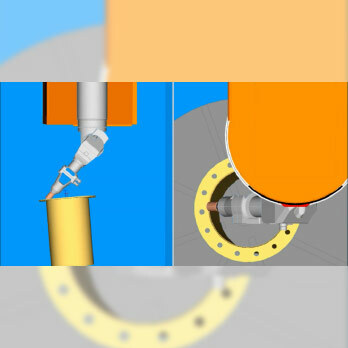 Reduce or eliminate post processing of cut and drilled parts. Little to no debris on the surface. Reduced distortion of thin metal parts. Less heating of the part by drilling spatter. 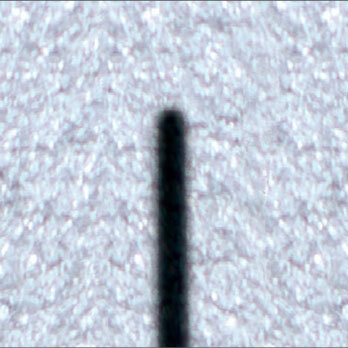 Enables cutting closely spaced features in thin metals that are prone to distortion with traditional laser processes. Fast gas changeover allows use of different assist gas for piercing and cutting reducing cycle time. Precise control of the laser process to prevent defects at the start and end of a weld. Minimizes post process inspection that is triggered by weld endpoint appearance. Minimizes or eliminates need for manual rework at the end of the weld. Eliminates the top bead undercut/underfill which can be a stress riser (fatigue applications) or crevice (corrosion applications). Improves cosmetic appearance of the weld. Increases reliability of hermetically sealed welds. Allows laser welding to be used for applications which cannot tolerate any weld underfill or undercut. LASERDYNE S94P software and OFC2 ABSOLUTE™ for locating the actual position of reference features, such as edges, corners, and holes. Faster and simpler than manual and semi-automated techniques – fully integrated hardware and software solution allows for automated feature finding processes. Compared to other methods, OFC2 ABSOLUTE™ provides high accuracy sensing and measurement with a much greater standoff distance, allowing high speed moves to be used with confidence. Improves the positioning precision of laser processed features on precise and imprecise parts. Enables laser processing to be used with lower cost, less precise parts and tooling. Applicable for all processes, including cutting, welding, and drilling. Faster setup – automated compensation for errors in centering and/or leveling of a fixture on a rotary table reduces setup time. More precise positioning of laser cuts and laser drilled holes on cylindrical, conical, or curved parts. Better tracking of a circular weld seam resulting in more consistent weld geometry or weld penetration, depending upon the type of weld joint. 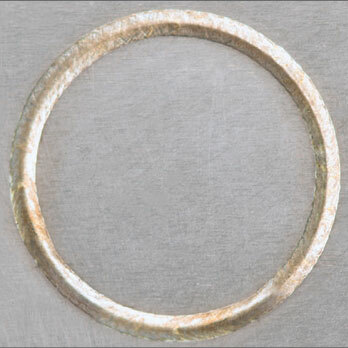 By automating the correction of misalignment errors, parts that would otherwise not be economical to process with a laser can be done so reliably. Software tool that programs simple to complex patterns of holes in linear and cylindrical paths. Higher quality holes, both in terms of metallurgy and geometry, with the benefits of reduced cycle time from on-the-fly drilling. Higher throughput from on-the-fly drilling by eliminating acceleration and deceleration at each hole location. Reduces heat input to the work piece. Reduces delamination of thermal barrier and other coatings on metal components. Can be combined with SmartPierce™ for increased effectiveness in difficult applications – less debris, less heating, less distortion. 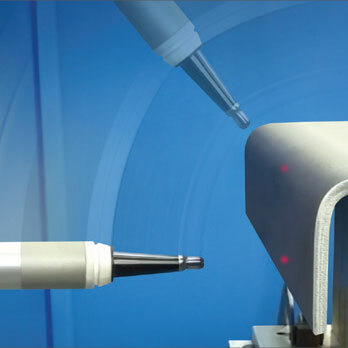 Expands the range of applications for which laser drilling is economical. 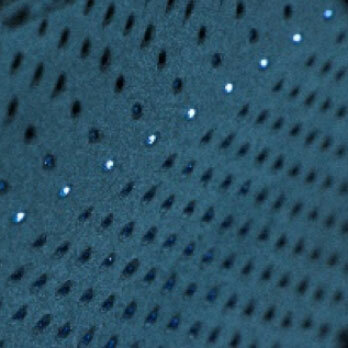 Applications include filters, noise abatement panels, and spinnerets for synthetic fibers. Also useful for texturing. Nozzle assembly with crossjet to protect the lens coverslide using clean, compressed air while supplying shield gas to protect the weld from oxidation. No intermixing of the gases. Extends life of the protective cover slide. Reduces operating cost by using compressed air for cover slide protection, reserving the shield gas for weld protection. Improves gas shielding during welding by eliminating mixing of compressed air and shield gas that generally occurs with other welding heads. Allows welding of materials typically difficult to shield. Allows use of various weld shielding devices. 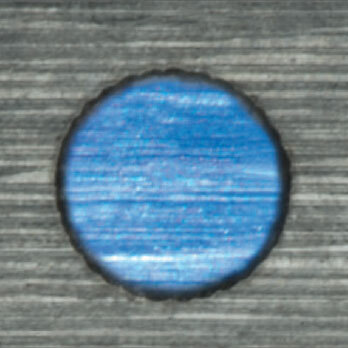 Control of laser drilling to quickly modify laser parameters once a hole has been initiated; minimizes or eliminates damage to any surface behind the one being drilled. Extends the life of backing material such as Teflon® or copper. Minimizes time for changing the backing material. Reduces or eliminates damage to the adjacent surface (back wall) – may still require the use of backing material. Allows applications where backwall damage is not acceptable.